It’s tempting to allow your HR department to operate autonomously from the rest of your company, especially if you have a particularly skilled HR staff. But they may need a helping hand and neglect to bother you about it. Sometimes the best employees are the ones who resist asking for assistance because they have a good work ethic and insist on working problems out for themselves. Now, however, there are so many more tools available to help HR departments that you would be remiss not to check them out and empower your staff with the ones most suitable for their needs. As the following article, “Does your HR department need a helping hand?” looks at, the gifting season is over, but you can still hand over some much appreciated assistance. Some corporate policies are so restrictive that department heads are afraid to avail themselves of the latest tools and trends. Sometimes the most powerful tool you can offer your HR department is permission. One recruiting method that your HR department could use to save time is to implement SMS text messaging service to communicate with job candidates or even existing personnel. You’ll need to give permission for them to use this method because SMS text messaging doesn’t provide security beyond the fact that the messages are delivered straight to the recipient’s cell phone. Imagine how much time your HR department could save with a cloud data management service. Employees could upload their own personal data, manage their insurance claims via their own portal, and your HR staff could oversee everything with admin permissions. Cloud data management is highly secure, but if you’re on the fence, seek out the services of an IT security firm. 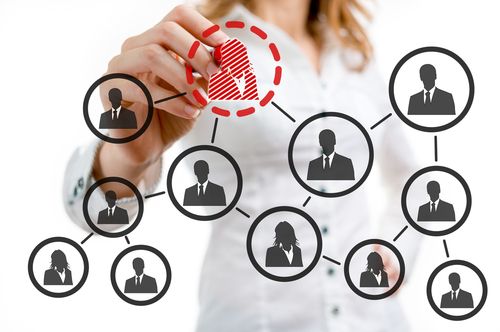 Your HR department should be closely integrated with your marketing department’s company social media profile. Social media is turning out to be an effective way to recruit quality candidates, but you need to give permission to your HR staffers to post messages, engage with potential clients and headhunt online. If you’re stifling them in this area, you’re really asking them to work with their hands tied behind their backs. You probably don’t see videos as part of the day to day work of your HR staff, but you should. Vimeo and YouTube are among the biggest search engines on the Internet. People use these to find information about everything – from buying a new house, to sewing hems, to finding a new job. If you want your marketing team to be effective, put them together with your HR department to make a memorable video about your company and its employment opportunities.